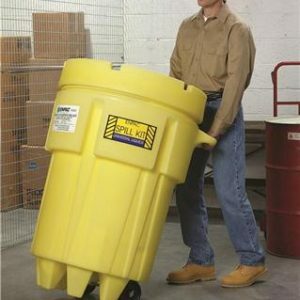 THE “LOCKING” OVERPACK SALVAGE DRUM OF THE FUTURE! 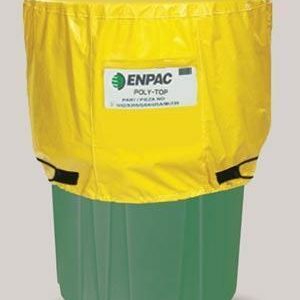 ENPAC® has done it again! 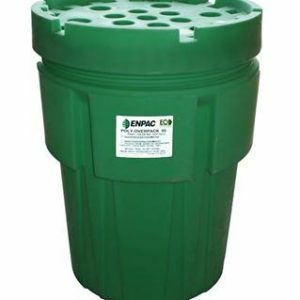 With years of research and development, ENPAC® introduces ENVIROSALV™ Poly-Salvage Drum Plus; an extension to ENPAC’s®global legacy of Salvage Drums. 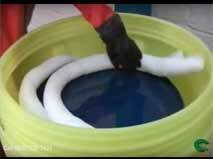 The ENVIROSALV line brings many new features and benefits to the Salvage Drum world. 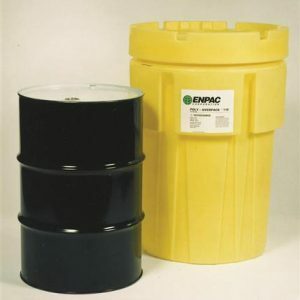 The ENVIROSALVTM safely contains a wide range of hazardous materials including: acids, corrosives and damaged drums. 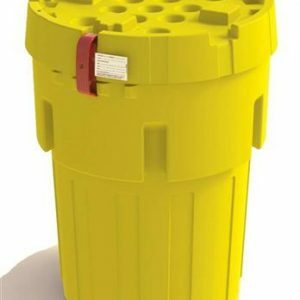 Our most innovative design improvement is the Lock Down Security Kit – which locks and secures the drums safely to it’s destination. 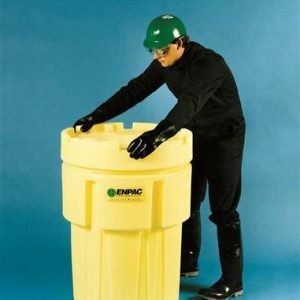 The new 20-gallon Salvage Drum is a versatile unit that can directly contain solids and sludges with security. 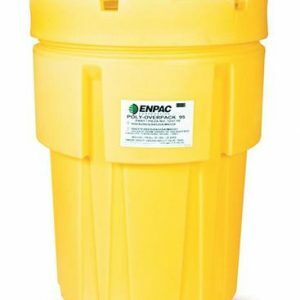 With a 1/2 turn lid, these ergonomically designed units allow for easy access, unlike competing “hoop-ring designs.” The 20-gallon Salvage Drum accepts bottles, cans and 5-gallon pails. 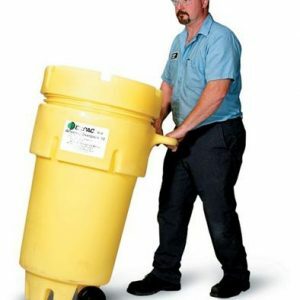 Units are also nestable, which allows for ease of shipment. 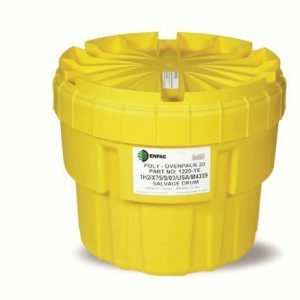 Save on shipping cost and storage space! 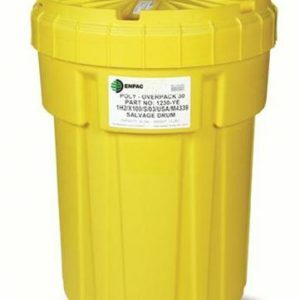 Is Your Overpack Really A Salvage Drum? 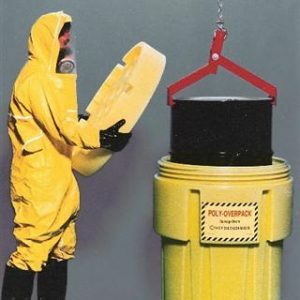 Our Poly-Overpack 95 meets Group 1 packaging standards and salvage drum regulations (unlike competitive overpacks). 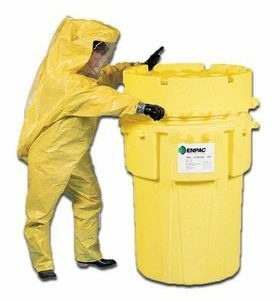 The Poly-Overpack 95 safely contains a wide range of hazardous materials including: acids, corrosives and damaged parts – in 55-gallon drums.